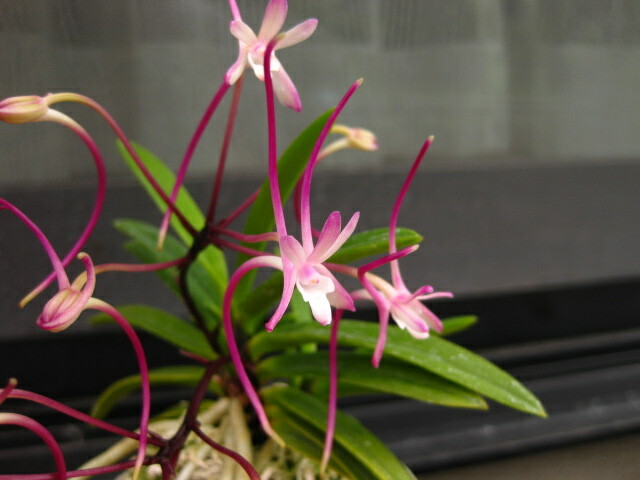 Categories: FUKIRAN-Neofinetia falcata, HANAMONO Flower. 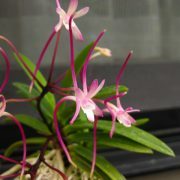 HANAKANZASHI is mutation from SHUTENNOU which has beautiful red flower and extremely fragrant as normal Neofinetia falcata. Compared to Shutennou, Hanakanzashi bloom with three spurs. However floower is very inconsistent and flower could be different every year depends on culture. When they bloom with three spur, it is so beautiful and every year it is going to be your enjoyment how they come out! 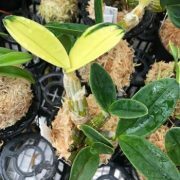 This plant bloomed with mostly single spur every year and one year tiny second spur was established on one of the flower.